When did the Association of Mature American Citizens form? The idea behind The Association of Mature American Citizens (AMAC, pronounced “A-MACK”) began in 2006. AMAC was officially launched in 2007.
Who founded AMAC, and why? Dan Weber, a family business owner in New York, founded AMAC because he felt the other major 50+ organizations were too liberal and did not represent his views. Rather than do nothing, Weber decided to begin his own organization. AMAC is a conservative, non-partisan organization with the goal of representing those whose core beliefs are not represented by other major 50+ organizations. The vast majority of the costs involved with creating and running AMAC have been funded by AMAC’s founder, Dan Weber. Additional sources of income include membership fees and income from companies advertising in AMAC Advantage, the Official Magazine of The Association of Mature American Citizens. As new members join, the income generated from membership fees are invested right back into AMAC. 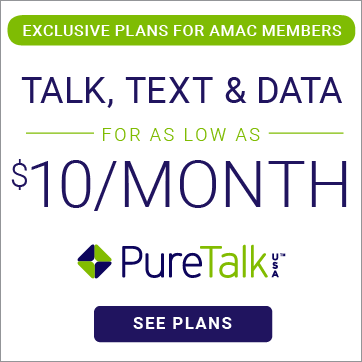 How has AMAC been active? One of the biggest differences between AMAC and other senior-focused organizations is our approach to advocacy. AMAC is a member-driven organization, and this simply means that the issues to which we direct our attention are chosen and prioritized on the basis of direct input from our members. This approach results in an advocacy agenda that is personalized to the people we represent…one that ensures that legislators on Capitol Hill hear the true concerns of AMAC membership. There is no filtering, no application of corporate influence, and no board-directed posturing in the setting of our priorities. AMAC has a full-time presence in Washington, DC and as our membership grows, so does our influence. Numerous Congressional and Senatorial offices have solicited AMAC’s input and support on issues ranging from tax reform to Social Security and health care. We take our initiatives directly to the representatives involved, and we do not hesitate to take the lead in advancing platforms for legislative action. An example of this approach is our work on a proposal to ensure the long-term viability of Social Security. Our time on Capitol Hill has resulted in solid relationships with legislators, giving AMAC and its members a viable presence in the debate on issues that matter to mature Americans. AMAC members in the field also play an influential role in promoting the association’s advocacy reach. The AMAC Ambassador Program was developed to, among other things, facilitate introductions to prospective members, promote AMAC to local civic groups, and organize local AMAC chapters. Learn more about this grassroots-level program at www.amac.us/amac-ambassador-leadership-program. Likewise, the AMAC Delegate Program (www.amac.us/about-amac-delegates) was created to spread AMAC’s advocacy on a local level. AMAC Delegates visit their local Congressional offices to cultivate relationships and to articulate our mission and stance on the issues of importance to our members. Delegates also organize local “town hall”-type meetings with Congressional offices and serve as a resource to those offices. The AMAC Speakers Bureau (www.amac.us/amac-speakers-bureau) is yet another opportunity for member involvement in AMAC’s advocacy efforts. The Speakers Bureau provides volunteer presenters to address senior groups in various parts of the country on issues of importance to them, like AMAC’s mission and involvement with the government, member benefits, and the future direction of AMAC. AMAC’s advocacy focuses on members and their issues. Our members take an active, engaged role in this advocacy through participation in programs like those described above and by providing the grassroots-level input that guides AMAC in crafting the solutions we bring to Congress. How old must I be to become a member? AMAC was developed for the 50+ population, and our efforts are geared towards this group. However, AMAC believes that the issues facing the 50+ population should be of concern to everyone. Those under the age of 50 who wish to join may do so as associate members. Associate members will still be able to enjoy many of the benefits that our 50+ members enjoy! Does my annual or multi-year membership fee include my spouse? Yes, your annual membership dues include membership for both you and your spouse. Husband and wife need only purchase one membership. Be sure to enter your spouse’s name in the appropriate area of our online or printed enrollment forms. Are you being compensated for offering insurance programs to your members? If so, what makes you any different than AARP? AMAC does receive compensation when an AMAC member chooses their insurance coverage through one of our affiliated Insurance Carriers. AMAC’s ability to operate and advocate for its membership is, in part, made possible by this compensation. 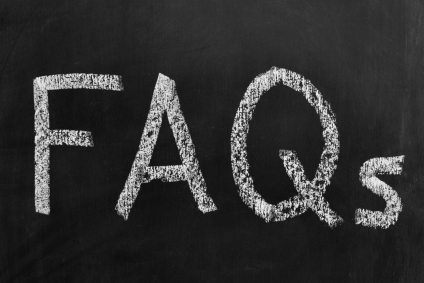 The sales representative discussing the plan options with you is either employed or contracted by a Medicare Health Plan Carrier, Prescription Drug Plan Provider, or Insurance Carrier that is not the Federal Government, and they may be compensated based on your enrollment in a plan. 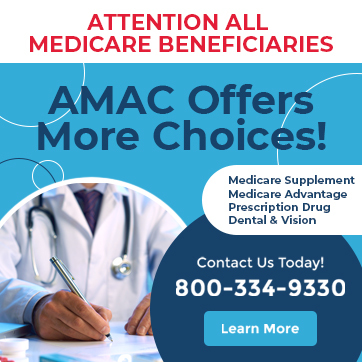 AMAC was founded to provide conservative Americans with an alternative to AARP. While we strive to provide quality discounted products and services to our valued members, our core purpose is to advocate for Americans aged 50+ on issues of extreme importance such as; Social Security, Taxes, Growth in Government, Medical Care, National Debt, and Immigration.